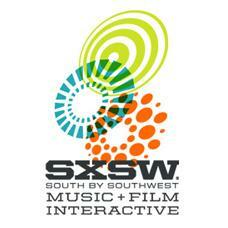 A solid contingent of HBS and other Harvard-affiliated people are traveling to Austin in March to attend SXSW. Updated date/time/location: Saturday 3/12 4-6pm join us for drinks at the Champions Sports Bar, next to the Convention Center. (In the Courtyard Marriott). Follow @StartupTribe and the #StartupTribe hashtag for updates. I'm pumped about Austin, TX. Let's make the most of SXSW! For those that are looking to create the next $100m+ company, let's help each other succeed! How? Well... let's join forces and learn about each other's startups. This way we can not only network with people @ SXSW more efficiently, but we'll have some fun bonding time with one another. Please send me a deck (or whatever you find appropriate) of your business concept by March 7, 2011. Don't worry, I'll send a reminder a week in advance. From there, let's set up an informal get together to discuss each other's ideas so we'll be up to speed on all the cool HBS stuff. Remember, ideas should definitely be shared so don't be shy!